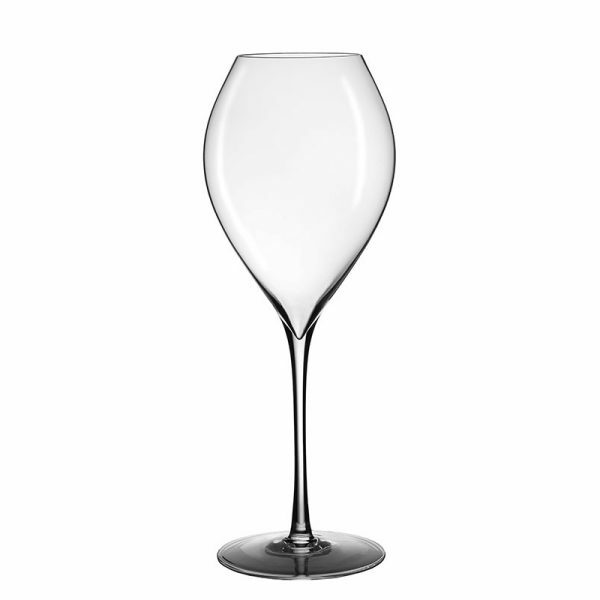 The Jamesse 41cl Grand Champagne glass is recommended for vintage Champagne and othert Sparkling Wines. It is machine blown lead free crystal. Packed 6 glasses per box. The collection of Jamesse machine-blown glasses was developed after the success of the Jamesse Prestige mouth-blown version. The pointed base is pronounced to enhance the long and precise effervescence of Champagneand also provides a precise starting point for swirling still wines.